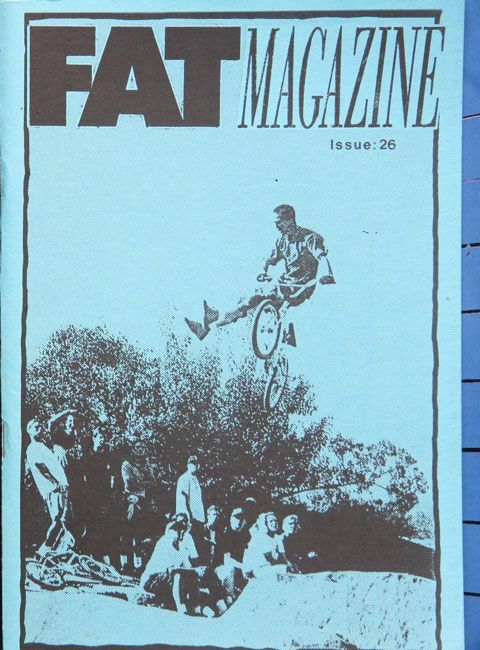 Cheesy Hundertmark from Germany gets the cover of FAT-'zine issue 30. 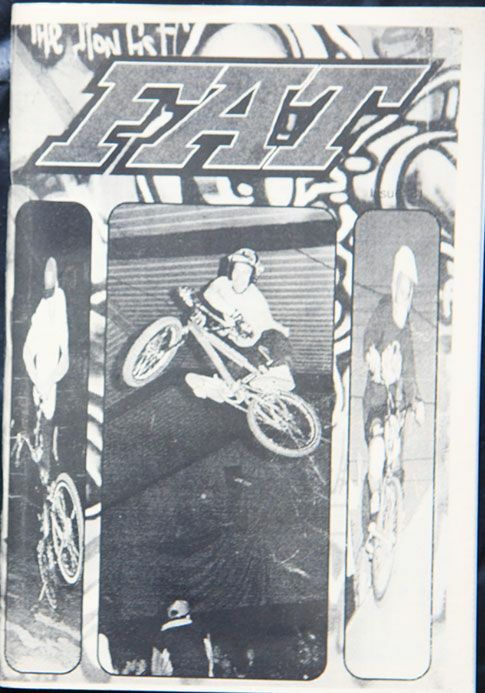 Also on the cover in small video grab pics is Ian Morris doing a humonguous rail in our hometown back in 1994. It was a good year. Ice Money popped up in Cologne and later in Munich, Germany and England. Even in the Lageja ad! The Editorial is still accurate. I do have a car now though. Free stickers this time from KDL, BigBoy, Busy P and GT. Huge new section. I hope to see some of these guys in Vegas next week at the Nora Cup. At the Trierer Cup we almost got blown away by Hurrican Ike. The tent took off but the Chevy stayed on the floor. Paul Osicka got an interview that starts on page 22. AK Helmond race report. Freestyle World's in Cologne. The real world's, none of that LG fake World Championships stuff. VANS Cup in Amsterdam. Dam right! Wateringen trails report by Petrik de Heus. Bartman comic by Deamer. Magazine interviews with Marco Massei, and Freedom BMX. The 1994 FAT-JAM was one of the best ones. Read the report on pages 49-54. 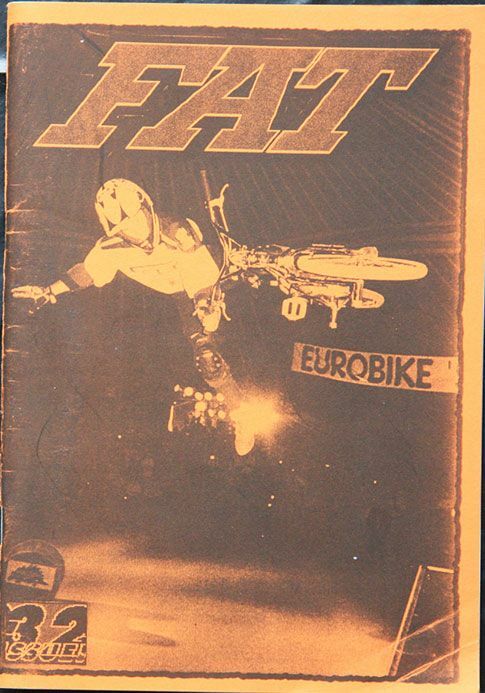 Issue 29 came with a bunch of free stickers; Mutation, BMX PARTY (Mental Jimmy'z), Forbidden Planet, VANS Off the Wall and a Gatorade postcard featuring Mat Hoffman doing a backflip. These little items were nice extra's that came free with the 'zine. Webmaster Jos sent me a copy of page 4 a few weeks ago. Read it and smile. 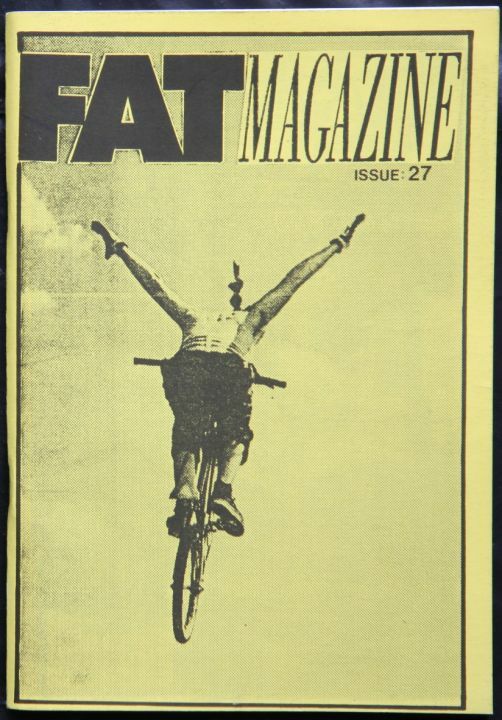 8 pages of BMX news followed. 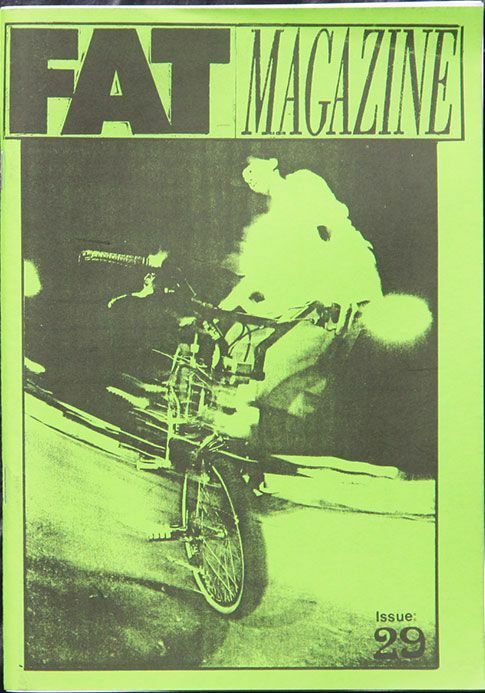 Then the report about the trip to Copenhagen for the X-Mas jam followed by a Solingen miniramp session report. Woody Itson gets interviewed and we went to the Phoenix Winternationals in the back of Chris Moeller's pick up truck. Back to Holland for the first NK of the year. Also covered in issue 29 is tthe BS contest in Moreno Valley, California. Those comps were fun. Thomas "Tarzan" Hansen gets interviewed, Axel Reichertz and Jay Miron get sequences. We posted the I-punkt BMX comp results, did an interview with Mike Daily and Cruzin' Chris, went to another race in SoCal, and also Markus Wilke gets an interview. Just read it. 1993. Road tripping back then. Still road tripping 20 years after. 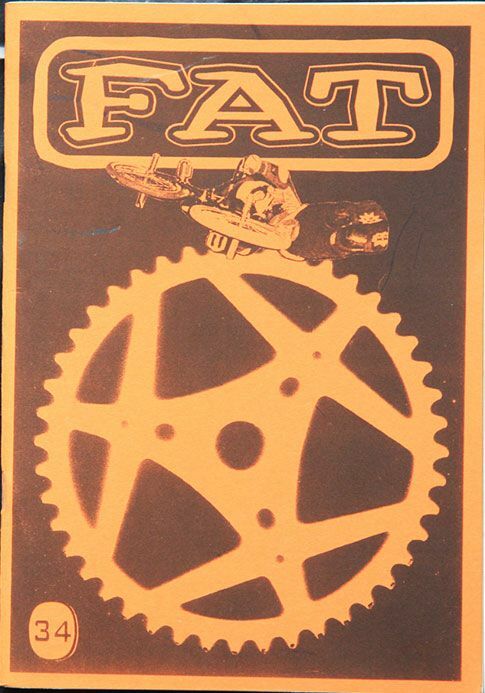 FAT's got history. Read Issue #28. The cover of issue 28 shows what we were all about in 1993. In fact, it hasn't changed much. Road trips are the best. 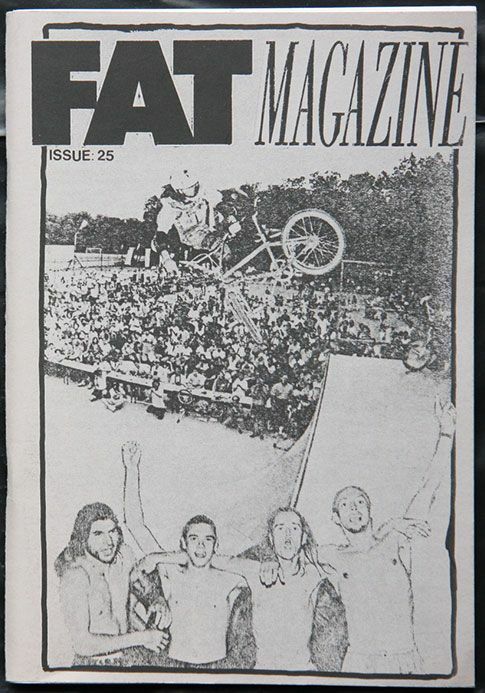 We brought you the BMX news in 1993 and we are still doing it now. 7 pages of BON in issue 27 and you were up to date of all the BMX news. We received Huphter and Rabbit stickers for the free sticker page. Achim Kujawski received an interview and then we're moving on to oiur annual Mission Trails jam. When noone was putting on a jam at SoCal's best dirt jump spot we took things in our own hands (again) and had a good time. I missed the 1993 world's in Limoges, France but got some pics from Ralle and printed the results. Your pro champs? Retey, Hoffman and Wilke. A 6-page Paul Roberts interview follows. He must have said something funny in this. Hope you can read it as the text is small. The UCI BMX race world's took place 30 minutes from our place. We went there and even organized a KOD on the first straight. We also had a Las Vegas session at "The Pits". 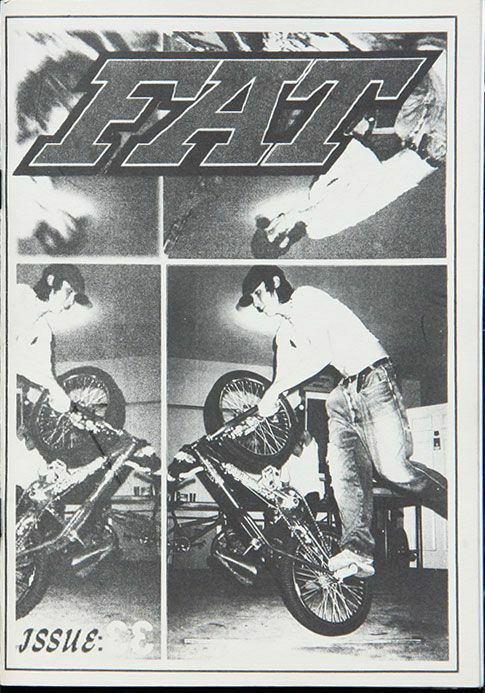 Ronnie Farmer on the cover, yeehaaw. While in San Diego we rode Mission Trails on a daily basis with the Dirt Brothers. Ronnie Farmer was one of them. He was born in East SD and the Dirtbrothers house was on the edge of that shady area. We have not heard from Ronnie in a while an really hope he is doing well. He sure knew how to stretch them no-footed cancans. 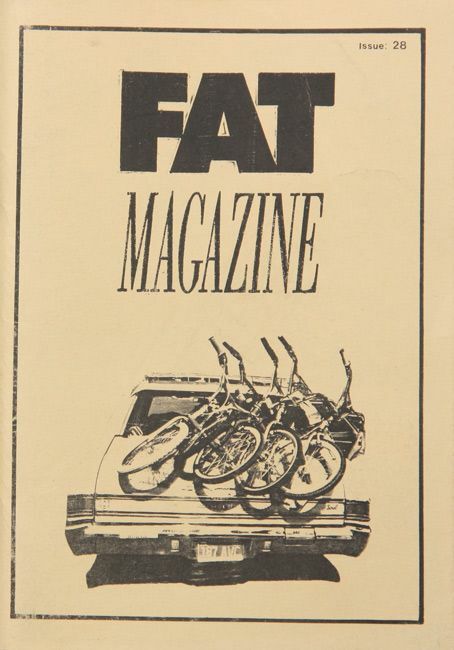 Internet sites did not bring the news back in the day, FAT-'zine did. The Believe it, or Not!? section is huge, full of news. We traveled to Phoenix for a Bicycle Stunt contest in our 1970 Buick Estate Wagon which had a 454 engine and was hella fast. We made it over there too.